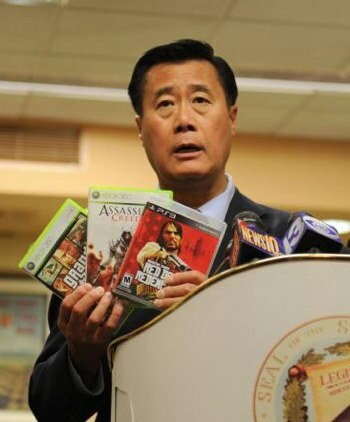 Leland Yee takes to Twitter to address gamers. Have you ever had someone apologize to you, but in the course of their apology they end up just making things worse? California Senator Leland Yee just did exactly that via his official Twitter account, addressing comments he made to the San Francisco Chronicle last week that gamers need to "quiet down" in regards to the gun control discussion. In his pseudo-apology, Yee addresses gamers directly, admitting that his choice of words wasn't the best. "Gamers, I admittedly didnt use best words to SFchron. Meant video game industry has inherent conflict of interest in the gun violence debate," reads Yee's first tweet on the matter. This gem followed shortly thereafter: "I have a lot of respect for many gamers - many are on my staff and in my family - but the industry has profited at the expense of children." Ah, I think I understand now; It's OK to be a gamer as long as Yee knows you personally, and you either work for him or have the same last name. Of course, his words fell rather flat on the Twitter crowd, with the vast majority of responses calling out his tweets as a rather obvious and hastily-performed exercise in damage control. Still, it's good to hear that Yee doesn't dislike all gamers. Just, you know, the ones he's never met.